After a kind invite to a ping pong event a few weeks ago (can I hit a ball? Yes. Do I have a future in ping pong? No) I’ve been wanting to go and back to Yang Sing for a proper meal. It’s been years since I’ve eaten there because my husband had it in his head that he didn’t like it. It was Friday night and we hadn’t booked, so we weren’t too bothered to be tucked away right in the ‘naughty corner’; we were just glad to have nabbed a table because by the time our dim sum arrived the place was heaving. 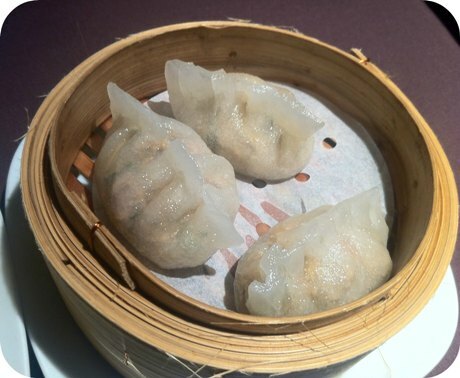 Spicy nut and pork steamed dumplings were new to me. Not very spicy but I love the texture that the nuts added. The prawn won ton were packed with meaty prawn, not measly suggestions of prawn like the pre-made parcels you get in some places. But top of the pops were definitely steamed char sui buns. The dough pulled apart a bit like a marshmallow. That sounds a bit weird but what I mean is that it had give. The meat inside was amazing. Teeny nuggets of sweet, sticky BBQ pork. The sauce was soaking into the dough…I could have eaten nothing but these for the rest of the weekend and never tired of them. In fact, if anyone ever invents a char sui IV drip please let me know! My main wasn’t something I’d normally order in a Cantonese, but then again it’d not something I had seen elsewhere. Aubergine with minced pork in yellow bean sauce was one of several casseroles on the menu. The pork had obviously been fried first as it was nice and crispy. The sauce had a tomato-y tang and the aubergine sucked up all of the porky, spicy flavours. Our second dish offset the casserole perfectly. Andrew ordered prawn balls with ginger and spring onions. I was expecting the balls to be prawn and something else, but they seemed to be pure prawn- and there were loads of them! 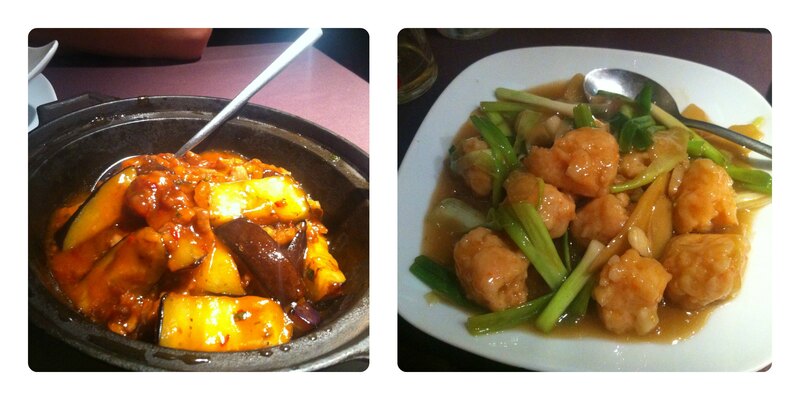 Ginger and spring onion is a great, clean taste so was just right alongside the aubergine dish. Staff were lovely, even though it was busy they would check up on us in the naughty corner regularly. Oh, and the toilets- possibly the nicest of any Manchester restaurant. Manchester Food and Drink Festival should have a new category! 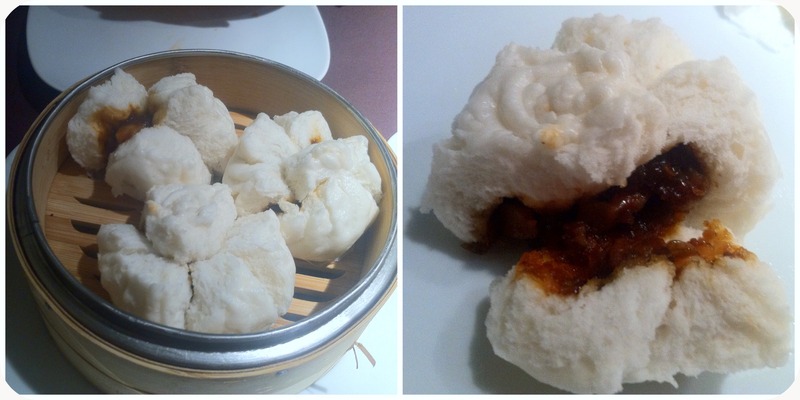 Highlights: Char sui buns and aubergine casserole. HOLD THE PHONE. Are these actual pictures of your meal? While you were eating out?! Absolutely fabulous 🙂 Love dim sum, so glad you’ve converted the hubby!